Since I know I will be asked.. my dress was purchased at a mom and pop Costume and Magic shop in South Elgin, IL. My friend Megan and I went looking there together and the owner even performed some magic tricks for us before we left 🙂 The owner was very nice and helpful. 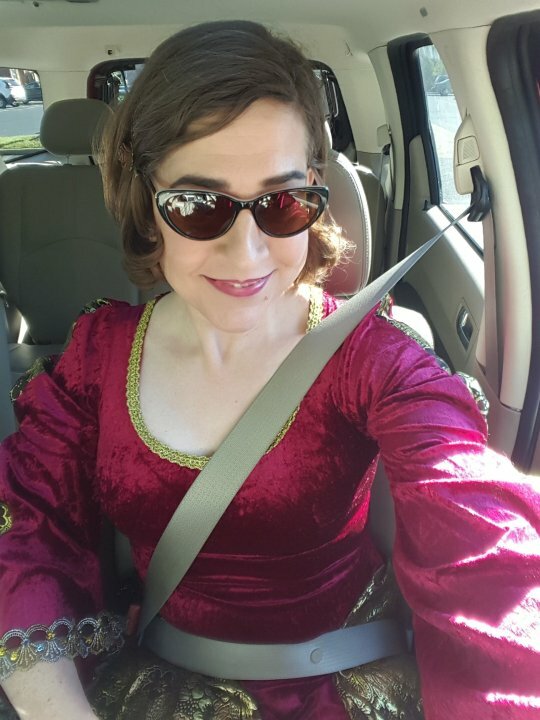 Though most of the dress was perfect as is, the sleeves and bottom of the dress had a less finished looking hem. Also, it ran just a little short at my ankles. My friend Colleen is a whiz with sewing so we went with Megan to Joanne Fabrics and enhanced the dress. 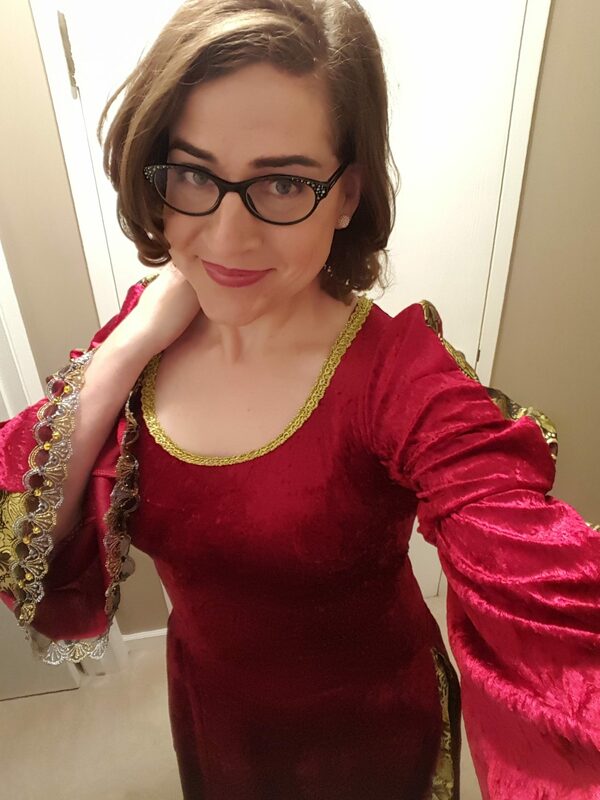 The fancy sleeve endings are not original 🙂 I hand sewed them on myself after Colleen taught me how. Meanwhile, we found some silky fabric to finish off the bottom of the dress too. Colleen handled sewing that on for me. 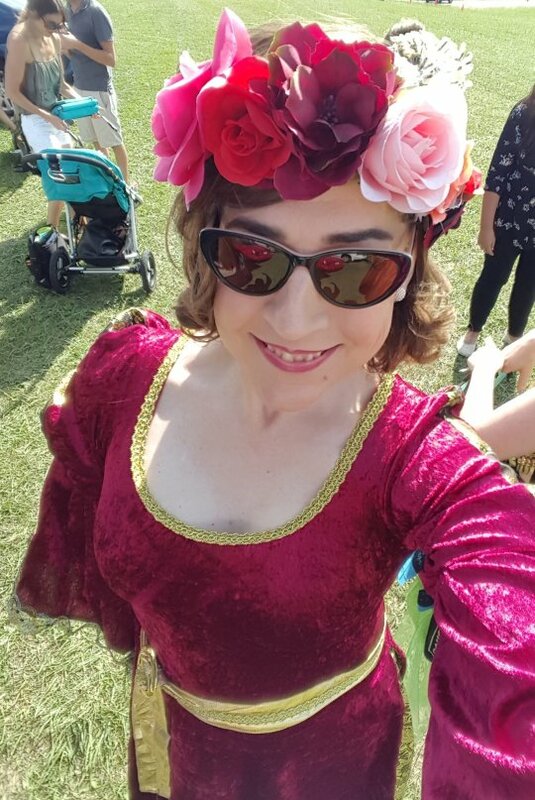 The flower crown is one I had bought for my last trip to the Faire and I purchased it from Claire’s Boutique. 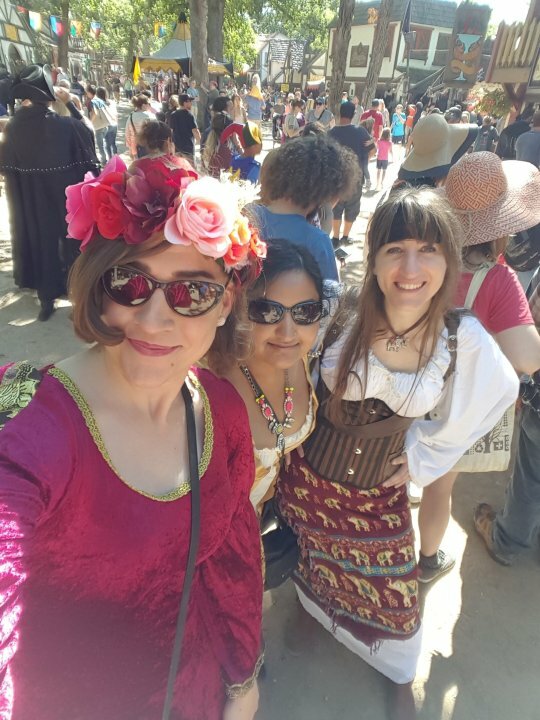 It all turned out amazingly well and I look forward to wearing the outfit again next year when the Faire returns. 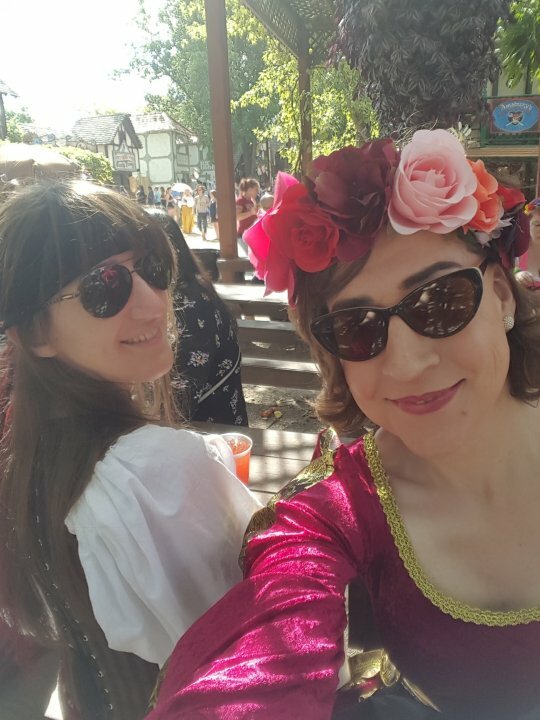 Anyone who has been following my blog for a long enough period of time knows that I started this year determined to become more social and let more people get to know the real me (after many friendships and even family ties dying a slow death due to dysphoria followed up by transitioning). Ever since the moment I declared this “The Year of Ari”, it has been an amazing ride and I can’t even fully explain the difference in my overall level of happiness. If you are transgender and feeling isolated and alone, look for ways to still get out there and just be yourself. I highly recommend Meetup.com – it is not a dating app even though it sounds like one. 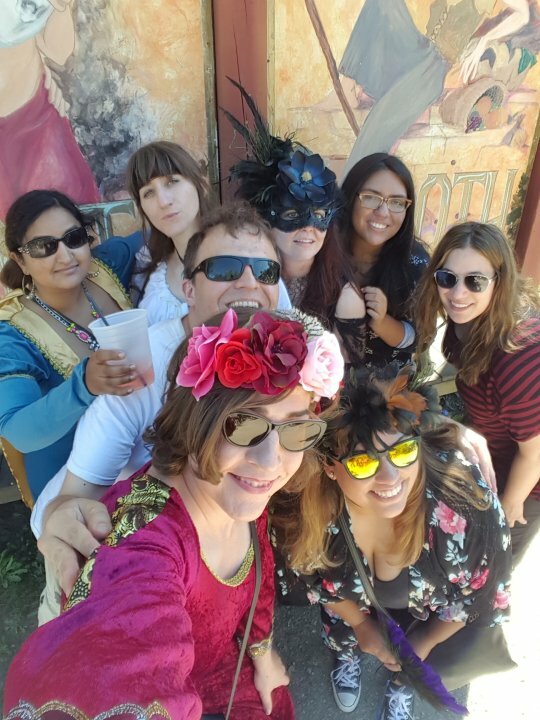 You can find groups in your area (hopefully) that are into doing the same fun things you would like to be doing. Pick the events that would be the most fun for you. 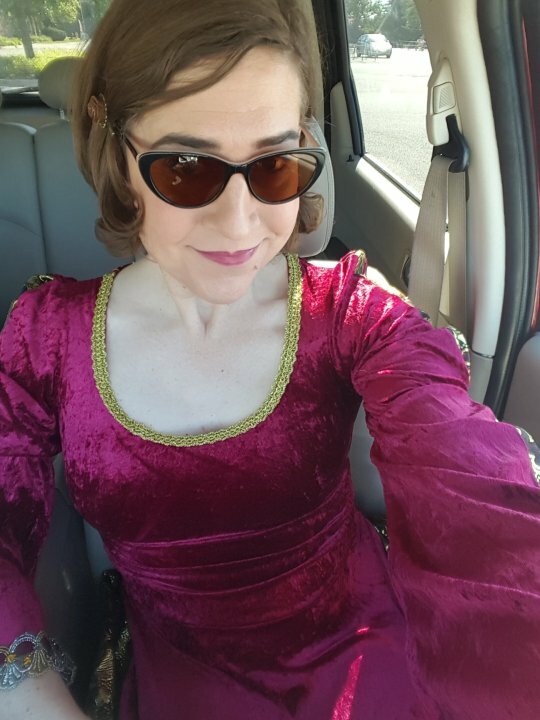 I chose to message the group organizers and let them know up front that I am a transgender woman and that I am just looking for safe fun groups to hang out with. All of them have been welcoming! Eventually you will notice certain people picking the same events you are and you may become friends (since you clearly enjoy similar ways of having fun). Be confident, be brave, be open, and be happy!